During the Cold war American forces where stationed in Europe. A military system provided the communication back to the states. A troposcatter system uses the troposphere to "bounce" the concentrated beam over the horizon. This beam could carry 24 channels. The typical distance was 100 miles. The station here was used as a relay between Germany and England. 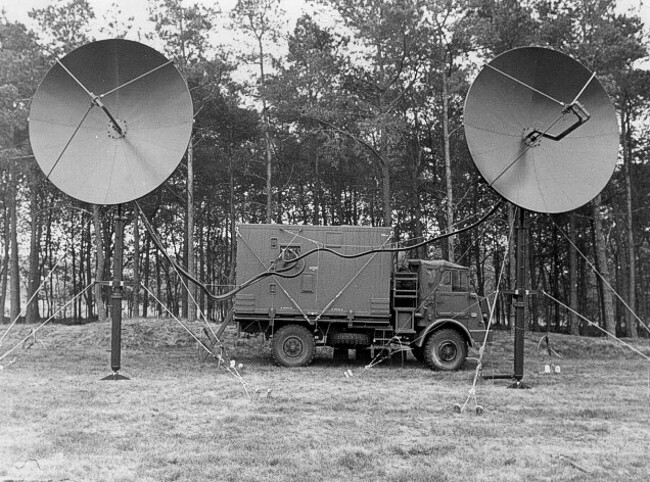 In those days the Dutch army used the same equipment, but in a mobile setup. Photo: LFFD. 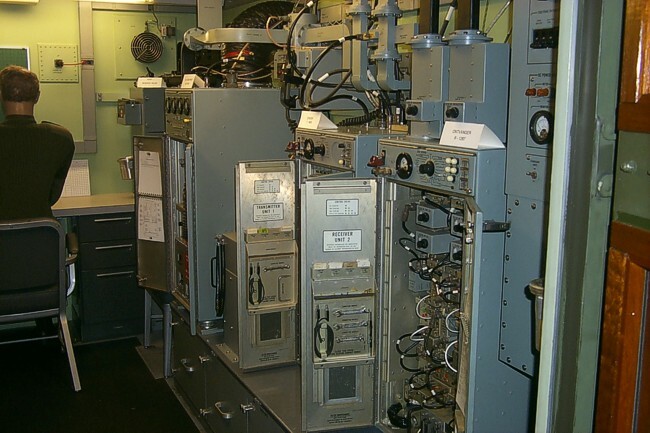 The transmitter/receiver was the same as the one used by the American forces, so sometimes we could contact each other using the insecure operators channel, all the way back to the US. 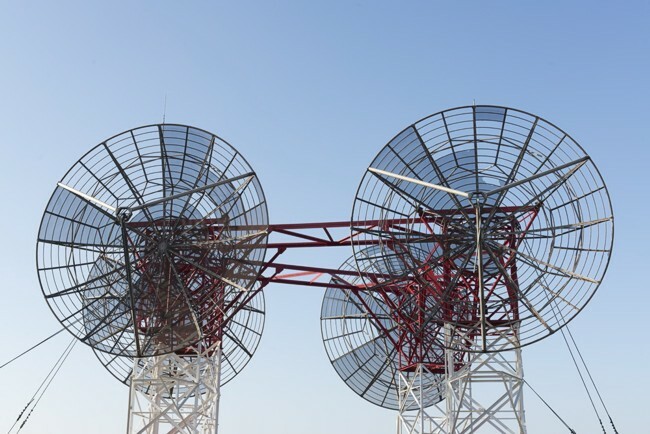 The Dutch army could transfer 30 encrypted channels with here system.